The 'ghost' which Hamlet sees at the outset of the play (Act 1, Scene v) is a hallucination, which only speaks and interacts fully with him when there is nobody else present to confirm if it is real. The fact that Hamlet continues to procrastinate his revenge against Claudius even after the appearance of the ghost indicates that Hamlet himself is unsure whether or not the ghost is real. 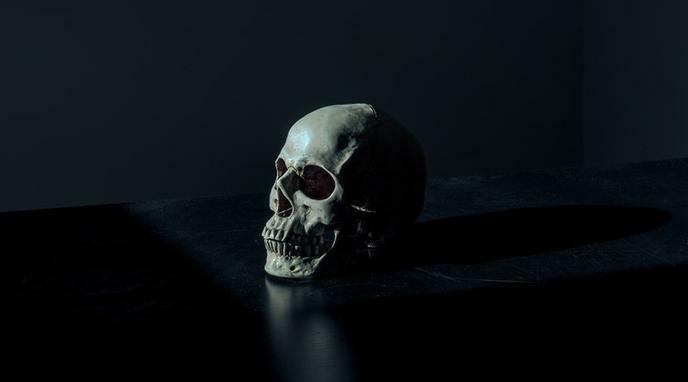 The ghost tells Hamlet what he expects to hear: that his uncle is responsible for his father's death - evidenced in Hamlet's "Oh, my prophetic soul!" (Act 1, Scene v). The appearance of the ghost during the 'bedchamber scene' with Gertrude (Act 3, Scene iv) indicates that it is exclusively Hamlet's hallucination, as Gertrude cannot see it. Elizabethan times, when Hamlet was written, ghosts were more commonly believed in and so would not have been considered a hallucination by the audience. The presence of the ghost may simply be a literary tool to help the audience understand Hamlet's motivations better. Since audience members would view the apparition moving around the stage, they would be more compelled to understand's Hamlet's motivations. The ghost's message contains facts that nobody else could have known. The ghost is initially witnessed by Marcellus and Bernardo, then later by Horatio and, finally, Hamlet. This lends credence to it being real, rather than a hallucination on Hamlet's part.